Experience jewelry that takes you on an enchanted journey. Using unconventional materials to bring metal and color together, Liz explores spontaneous new directions that bridge fine art with function. Carefully crafted with labor-intensive techniques, each piece tells a unique story. Liz Sabol's award-winning and collectible pieces are exhibited internationally. Liz Sabol studied Chemical Engineering and Art & Design at West Virginia University. She continued her education at the Art Institute of Pittsburgh in Communication Arts & Illustration. 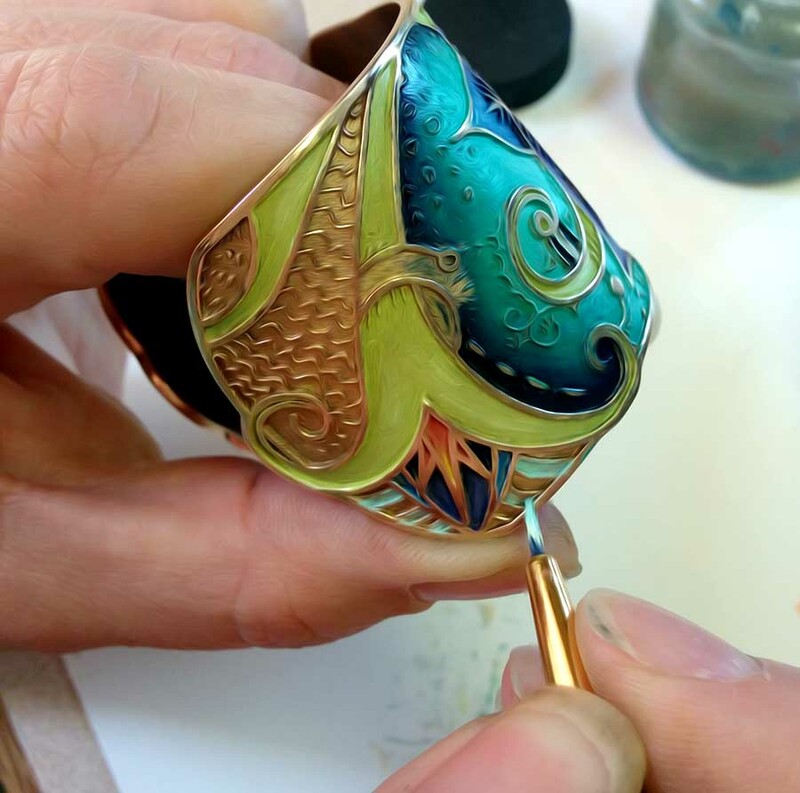 Though a relative newcomer to the jewelry world, she is a veteran in design and graphic arts. The eldest of seven children, Liz grew up on a dairy farm in Western Pennsylvania where she cultivated a lifelong love of nature, art, and design. She nurtured that sensibility through the study of concert piano, chemical engineering, fine art, design, and technology. 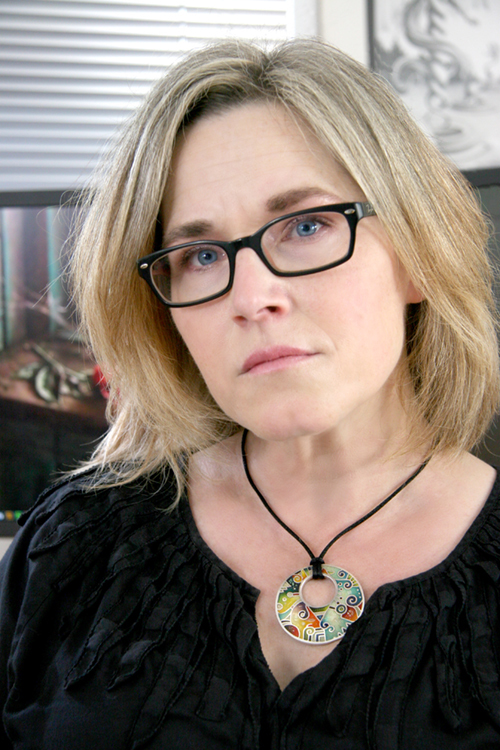 After a successful 25-year career in branding and corporate marketing, she found herself restless and sought new ways to express her artistic vision. In 2011, she experimented with intricate bead work, transitioned to the hypnotic experience of lampworking glass, and then began an exploration into metal in 2013. That journey led to a discovery and harmony she has achieved with a combination of technology and her signature organic forms. Inspired by fairy tales, fantasy and mysticism, each Champlevé piece is hand-painted and protected by resin, and hints at her love of oil painting. By combining metal with media and techniques not traditionally used in jewelry, Liz brings a different and unique perspective to metal.